They 'cooked', tasted, rated and photographed each discovery, giving it the look of haute cuisine and a similarly fancy-sounding name. When they posted these creations on their blog, the crowd went wild with reposts and tags. 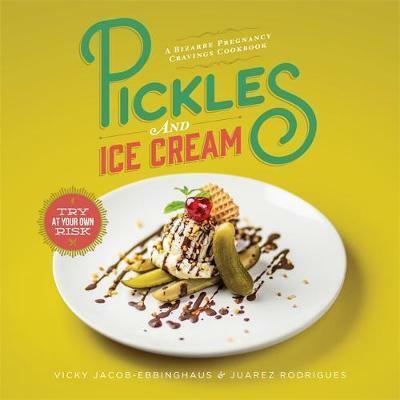 More and more pregnant women submitted their cravings for the 'Vicki and Juarez treatment' and soon media pundits were raving. VICKY JACOB-EBBINGHAUS is an award-winning copywriter from Johannesburg, South Africa, one half of a media- and design-savvy couple with JUAREZ RODRIGUES, an award-winning art director in the advertising industry. They live and work in Hamburg, Germany. JUAREZ RODRIGUES is an award-winning art director in the advertising industry, one half of a media- and design-savvy couple with VICKY JACOB-EBBINGHAUS, an award-winning copywriter from Johannesburg, South Africa. They live and work in Hamburg, Germany.